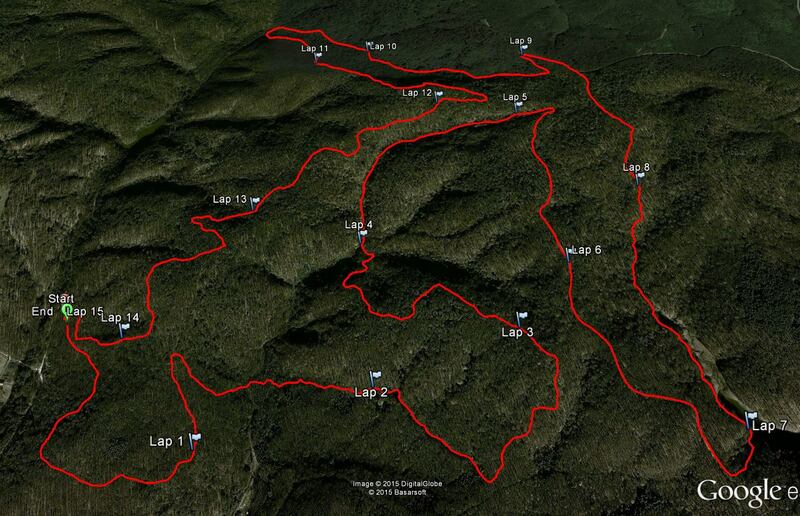 The 14K course is one of the most beautiful trails in the north-eastern part of the Belgrad Forest. It starts on a relatively wide road and then continues to wind along forest trails and paths, sometimes only shoulder-wide, and across hilly terrain. Green valleys and challenging hill climbs, gentle descends and breathtaking surprise views - you’ll want to run this course again again. The soft forest ground requires a steady step and can be quite muddy on wet days. It’s quite a challenge! In fact, the 14K course can be as strenuous as running a half marathon distance in a road race - you’ll need to adjust your pacing strategy and energy requirements accordingly. Total elevation gain and loss along the course is 350 m.
14K course are marked in red flags. Runners will follow red flags and signs , every 15m to 70m. Each kilometer will be marked in RED kilometer boards on the14K course . There will be 1 water point on the 14K course. Water will be in soft plastic cups. Cups to be left 50m with in the water point, can not be carried along the course. Maximum running time is 165 minutes.Runners who exceed maximum running time in their category will have their results listed in finish protocol, but miss the chance to get “Age Category Medals”. 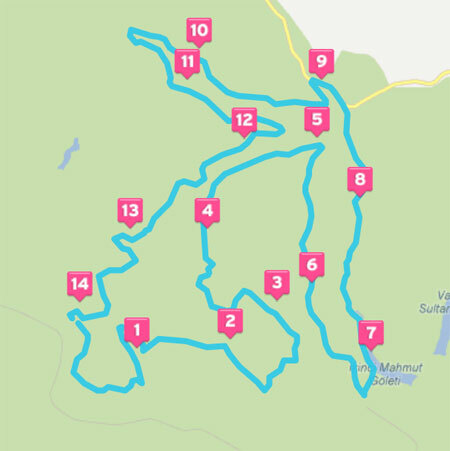 You can find below the 14K route map is colored red, satellite image, elevation profile.